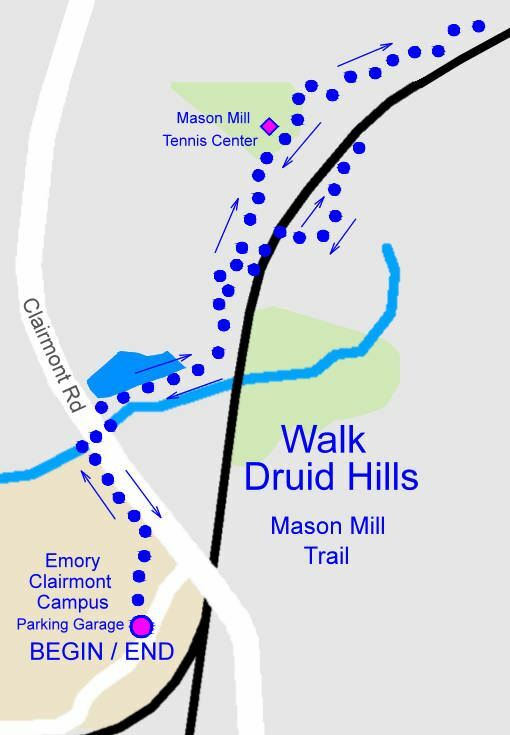 This month we will explore Atlanta's newest trail from Emory's Clairmont Campus to the Mason Mill Tennis Center and beyond. We will begin in front of the Clairmont Campus parking garage at 9:00 AM on Saturday, December 8. Parking is free in the garage on weekends. The walk will be approximately three miles and ADA compliant, all on paved surfaces and wooden boardwalks.